St. Mary’s School recently held its geography bee. 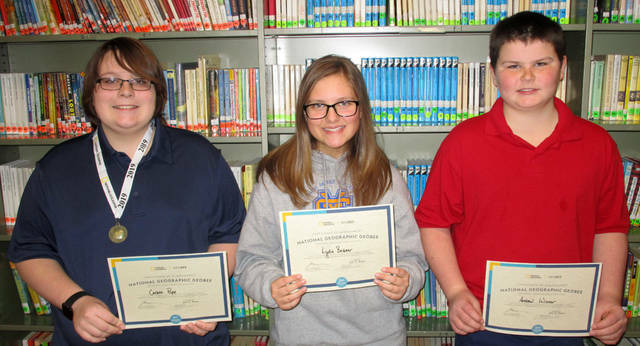 Pictured (l-r) are Carson Pope, the winner; Lydia Beisner, runner-up; and Andrew Winner, third place. Carson has now taken an online test to determine if he qualifies for the state competition for the right to go onto the national level.